While it may seem a little out of the ordinary to lunch with people you don’t know, everyone is essentially a stranger before you get to know them anyway. Therefore, what better way to widen your social circle than to opt for a makan session with some strangers? In the end, everyone has the same intention to eat as well, and it’s good to get to know more people, what more those who may have a similar tastebud as yours. 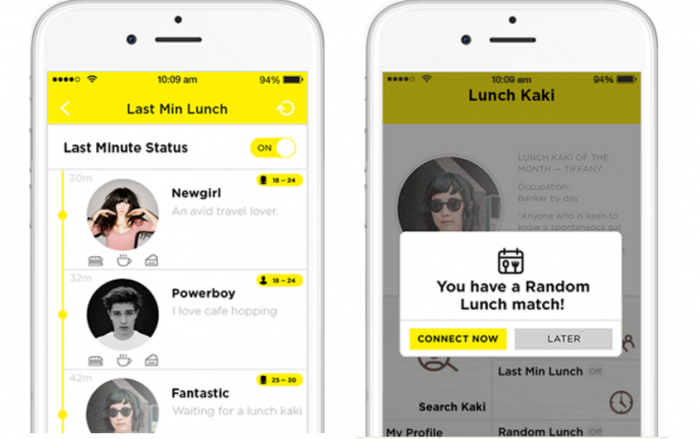 Lunch Kaki, an app that leverages on social networking, enables people to utilise their lunch hours to get to know other people better, because what better way to connect with people than through meals? 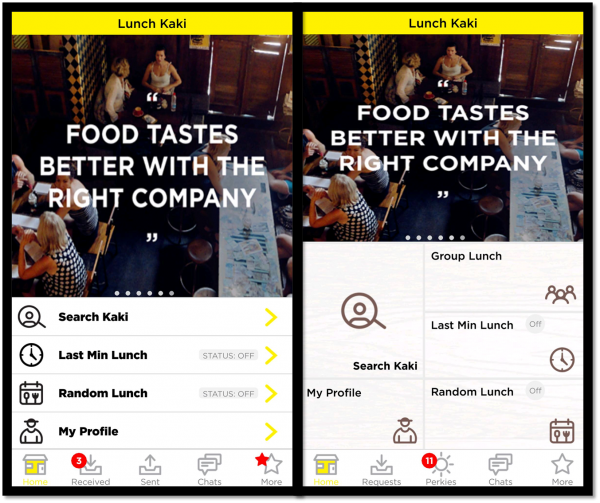 The app which has been around since late 2014 introduces its latest feature, “Group Lunch” so mid-day meals get to be extra special, especially for those who don’t have their own usual group to hang out with. With the “Group Lunch” feature, users can group their meals according to certain categories, for instance by location, or perhaps even by food type. Therefore, if you are an avid ice cream lover, you could search like-minded people to feast on desserts with during lunch breaks. 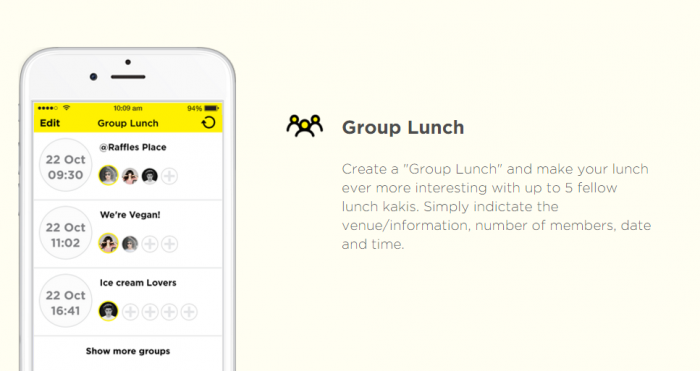 Basically, all you need to do to create a “Group Lunch” is by indicating where lunch will be at, as well as the date and time. Next, just wait for other users to join in on the group. 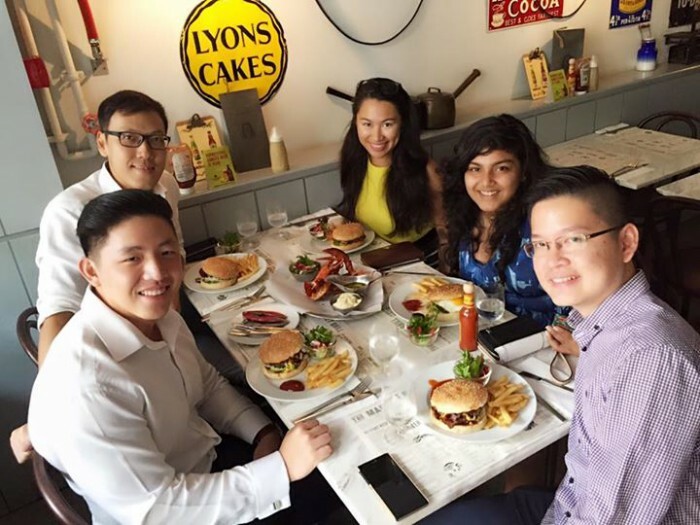 Other features provided by the Lunch Kaki app is the “Last Min Lunch” which is good for those who are always searching up their friends’ list for a last minute food get-together. The feature enables users to look for lunch buddies within the next 10 minute period, and vice versa where other users can look you up for a quick lunch. Besides that, another feature by Lunch Kaki is the ‘Random Lunch’, which allows for users to schedule a lunch ahead of time and a chat box will appear if someone has a similar date and time to your planned lunch. Lunch time, for those who are working, tends to be a quick one where everyone just grabs a quick meal to fill their tummies before resuming to their tasks for the day. However, Lunch Kaki aims to redefine how meal times are supposed to be enjoyed, which is with the company of others. After all, it is good to spend lunch hour with the company of others because other than feeding the rumbling tummies, the mind needs to be fed with thoughtful conversations too. Along with the ‘Group Lunch’ update, Lunch Kaki also changed their interface to provide a better user experience. Hence, now it is far easier and more convenient to say goodbye to lonely lunches once and for all! Lunch Kaki is currently available on Android and iOS devices for free in Malaysia. The ‘Group Lunch’ update is currently only available on the Android application.